Simple Ways To Turn Website Visitors Into Customers. Posted on 4th January 2012 at 17:34. Every small business with an online presence knows that it’s vital to not only attract visitors to their website, but to keep them there and convert the visit into a sale. High bounce rates are the curse of the modern age and are a source of constant irritation and frustration for businesses. Now you may think your website is more than up to the job, but high bounce rates are a clear indication that the website is not performing as well as it could. So, is there anything a small business can do to fix this problem? Well, if you have the available budget you can always get expert help from a specialised web designer or an SEO consultant. However this is a non-starter for most SMEs as they do not have the cash to spare, particularly when times are as tough as they currently are. So is there an alternative? Are there any simple things SMEs can do to improve their websites that will reduce bounce rates and make visitors more likely to become customers? Well, actually yes there are. All you need to do is keep your content fresh and relevant, optimise your website for the search engines, and integrate your website with the social media. SEO can be a complicated process and involves amongst other things on-page and off-page optimisation. In fairness it’s a job that’s probably best left to the experts, but there are simple things you can do yourself that will make your site more visible to both your potential customers and the search engines. Identifying relevant keywords for your business. If you put yourself in the shoes of your potential customers, what keywords would you be searching for? Draw up a list of all the keywords that are relevant to your niche market, and run those words through Google AdWords to see which are the most frequently searched for to find other keywords. In this way you’ll be able to identify the most appropriate keywords for your business. Use the keywords on your website. When you’ve figured out these keywords, use them on each page of your website in both the page content and the meta-data, that is the title, description and keywords of the page: these are what search engines use to determine what the page is about. You should also aim to create links on other pages of your website to the targeted page, using keywords in the link title. If another website links to yours it gives credence and indicates that your site and content are both relevant and useful. 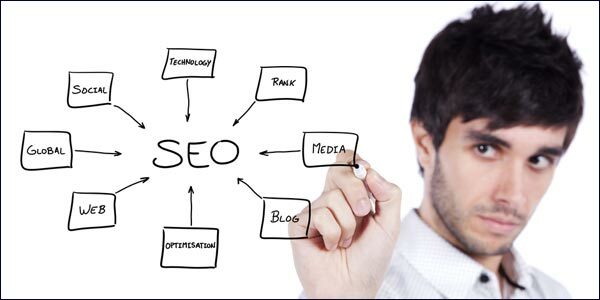 It also helps to increase your website rankings on the search engines. Whilst external link building is crucial to SEO, it’s also worth bearing in mind that it isn’t the easiest thing to do as your fortune is to a large extent in the hands of others. All any small business can do is concentrate on the aspects of link building where they have some control: so focus on aspects like Facebook, Google+, Twitter feeds and your blog and make sure to link to your website from all of these channels. It’s easy to state that your content needs to be fresh and relevant, but what exactly does this mean? Your aim as a business is to attract visitors to your site and then to keep them there. So you need to make your website worth visiting. If you still have difficulties deciding what is fresh and relevant, then think of some of the websites you choose to visit. What do they offer that’s different? What makes their content so appealing? You need to identify the content on your website that is the most useful and concentrate on this, and integrate this into your blog, Twitter stream and Facebook profile and any other feeds that will automatically update your website when you post content elsewhere. Try to post unique and informative content in the form of articles and videos, that demonstrates to users that you are at the forefront of your industry and are a voice to be listened to. You need to make it easy for users to comment on the content you’ve published, and then engage with them. In this way you’re much more likely to start to building relationships with both existing and potential customers. If you provide the information the users want it will drive more traffic to your website and ultimately result in reduced bounce rates and hopefully more sales. As mentioned above your content needs to be shared through social media channels if you truly want to engage with your customers. It’s important because the more your content is shared via social media; the better your website is likely to perform in the search engines and the greater the number of referrals you’ll receive. The purpose of social media interaction is build lasting relationships that will turn visitors into customers and ultimately brand ambassadors. You need to make it as easy as possible for visitors to read and share your content with others. So it’s important to include social media toolbars on your homepage so the visitors can find all of your profiles, and add sharing buttons to content on your website which will encourage people to use them. Start 2012 With A Targeted And Carefully Planned Social Media Marketing Strategy.Google Accused Of Breaking Its Own Guidelines On Thin Content And Buying Links.